Rebecca talks about plant-based parenting, kids, and losing over 150lbs. On this episode of the Meal Mentor podcast, Lindsay chats with longtime member, Rebecca! Rebecca began dieting at the age of ten, and continued to struggle with her weight for many consecutive years. After the birth of her son, she noticed that the pregnancy pounds were not coming off, and she did not feel healthy. Rebecca found the plant-based diet, and she lost 150 pounds effortlessly! Tune in to hear as Rebecca shares her weight loss journey, tips for navigating plant-based parenting, and she provides some of her favorite resources! How to maneuver feeding kids a plant-based diet when co-parenting: Rebecca explains! How do you identify true hunger? Lindsay and Rebecca discuss the link between mental health and diet. What Christmas gift changed Rebecca's life? What's the difference between a diet and a lifestyle? How can you motivate children to eat vegetables? 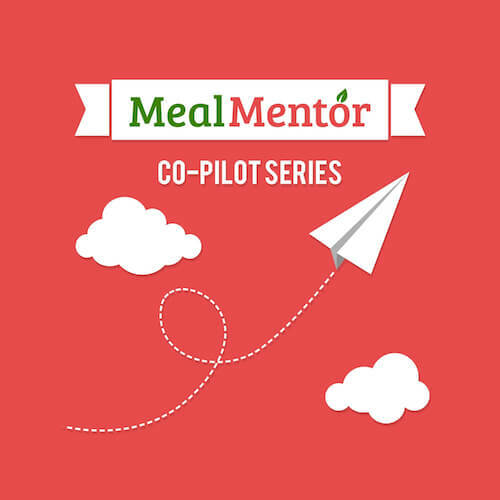 For more support, join the Meal Mentor community! Lindsay chats with annual meal plan subscriber Dagney, a mother and a grandmother who admits that she’s not very good at taking care of herself. Listen to this week's interview with 4-year member Natasha as she shares her story of struggles and success.